If you ever go to Lush there are a certain products you need to purchase to get the entire Lush experience. Obviously you don't need to follow this list, but when you live at least a half and hour from a Lush, you need to make the best of your experience. As some of you may know, but Lush is known for their iconic bath bombs. I picked up three, two old favorites and one new one. 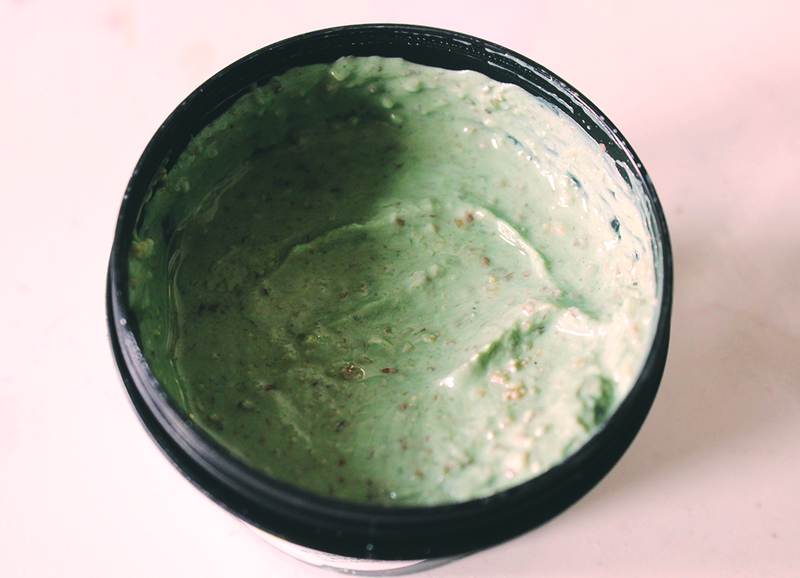 I grabbed the Lord of Misrule with has a strong, distinct scent. Along with that, it is very pretty because of the green color and purple/yellow dots. 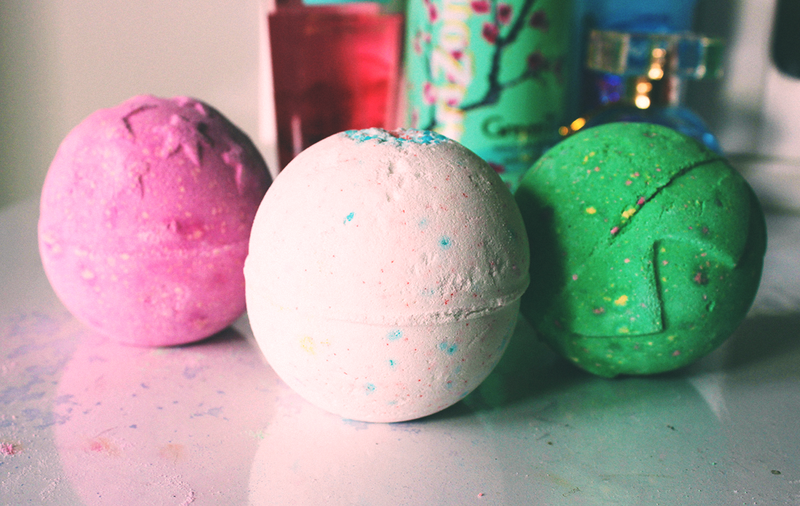 Next is the Sakura Bath Bomb, which is my favorite. It is snow-white and has baby pink and blue crystals all throughout with a accumulation at the top. It has a delicate smell resembling to the scent of cherry blossom. The last one is a new one called Twilight, which is actually my favorite time of day. It has a nice soothing lavender aroma. 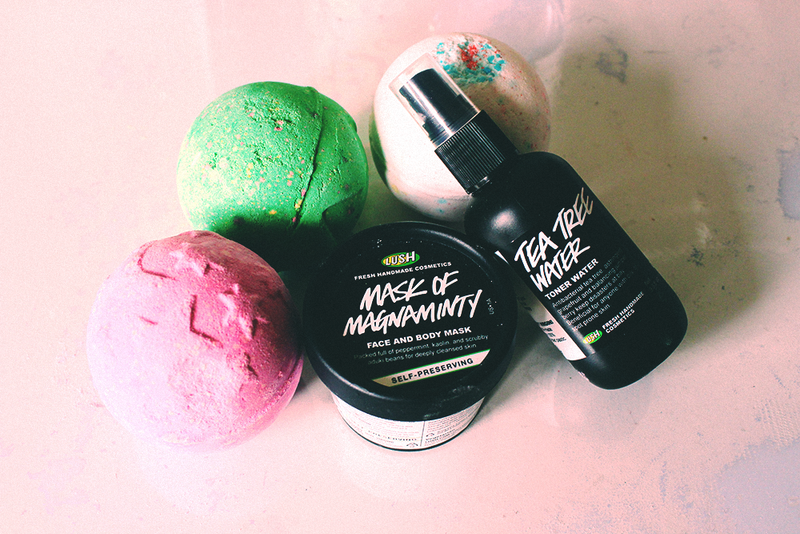 I had to get my hands on some skincare products from Lush, so I grabbed the most-raved products. I first grabbed the Mask of Magnaminty, which is a thick green mask which is filled with pieces of some sort of organic substance. I blame Jenn and Stephanie for making want tot buy this mask. They are great You-tubers I look up to and I always value their opinion. 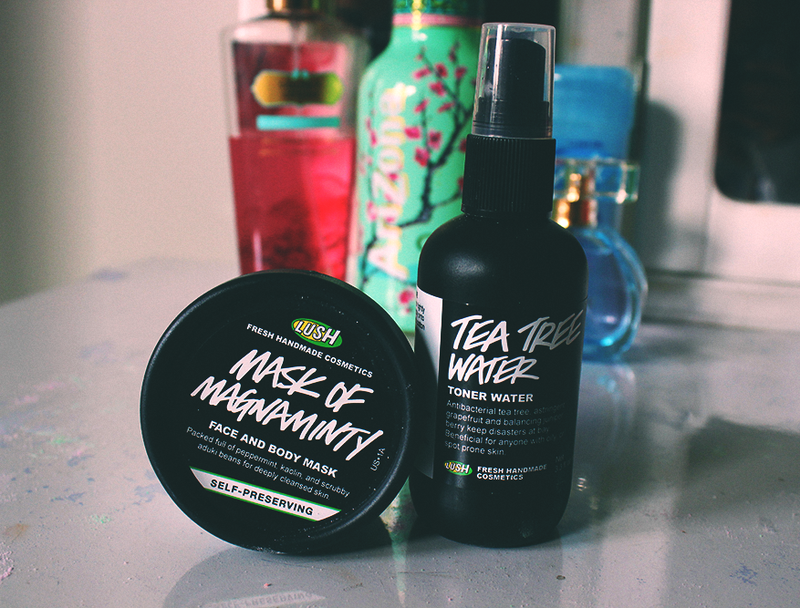 Finally, the last item is the Tea Tree Toner Water. I already started using this and it smells divine. I was nervous when I first bought because it was a astringent ( most powerful kind of toner ), but it does not sting my skin at all. I will be doing a full review on this product soon, so look out for that. What are your favorite products from Lush?